Should we have a Internet Magna Carta? Header set Expires "Wed, 15 Apr 2020 20:00:00 GMT" Header set Cache-Control "public"
Should we have a Internet Magna Carta? The answer has to be yes. Though who gets to devise it? Should we have the right to access the internet, if so should we have the right to access anything we like on the internet? Lots of questions. Currently the internet is somewhat anarchic and many would say that is the way it should stay. Sadly as countries such as China, Russia and even Turkey learn to control and manipulate what their respective populations see online it is becoming a real concern. Then there are the corporate interests who would love to monetise every aspect of the internet. Facebooks' founder Mark Zuckerberg is looking to develop an alternative to the internet, internet.org, managed by guess who? 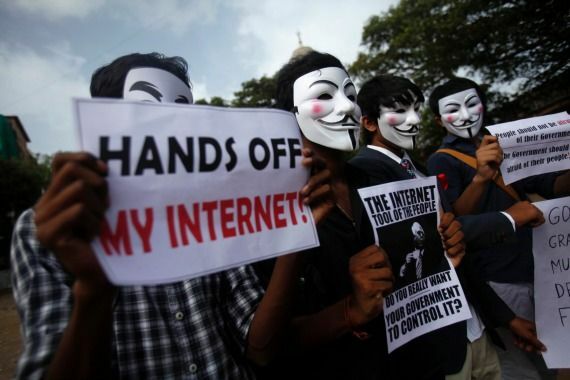 The Telegraph did an item on it raising the concerns of Net Neutrality amongst other matters. I haven't put a link to the internet.org, I don't won't to encourage such things. Though I suspect you can work out the address for yourselves. The BBC World Service has devised a drama called the great charter which creates a scenario where the internet is under attack and people come to realise just how reliant they have become on it. The story goes from there to develop the idea of an internet charter, a parallel to the Magna Carta. Definitely worth a listen.